Now Serving The Villages® Community. Can Still Be On The Horizon. 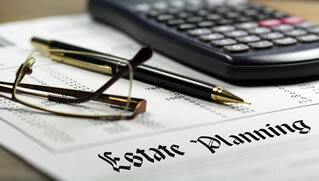 Is Your Will, Trust and Estate Plan Up-to-Date? It Pays To Have A BCN Attorney In Your Corner. Life Moves Fast. Accidents Happen. 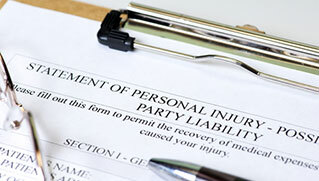 Talk To Our Experienced Personal Injury Attorneys. BCN Law Firm is a full-service firm providing counsel to people in The Villages&REG; community and surrounding areas. You have dreamt of retiring to Florida and enjoying an active lifestyle filled with grandchildren, travel and the warm glow of good friends and good health. But as you age, you may encounter challenges like deteriorating health and finances. We work diligently to make sure you are protected and continue to enjoy the highest possible quality of life as you age. By law, you have the right to assume that individuals, corporations, and other entities will act in a way toward you that does not put you at unnecessary risk. If you’ve been injured due to someone else’s negligence, you don’t have to fight back alone. The personal injury attorneys at BCN Law Firm in The Villages® are dedicated to helping injured individuals receive the compensation they’re entitled to. 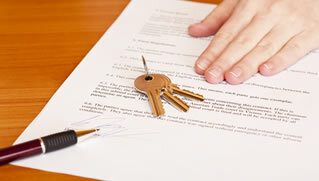 Our personal injury lawyers will take the time to fully understand your case. We not only fight for to get you the compensation you deserve – we help guide you through the confusing legal system, making the whole process as easy as possible. With our years of experience and distinguished reputation, we’re confident we can help you get the justice you deserve. BCN Attorneys Wade Boyette and Heath Nailos have earned a reputation throughout The Villages® community and the surrounding areas as the attorneys that do right by people, businesses, and organizations. It is as simple as that. Through the almost-forgotten process of truly getting to know clients and maintaining strong relationships with them, Boyette and Nailos have earned the trust of individuals, families and business leaders. Combining their understanding of the legal needs of their clients with their extensive understanding of the law, they get results. The team at BCN Law Firm believes that a job well done is one that requires time, attention to detail, and a passion for success. We also believe that as the law is always changing, we and our team must constantly be learning what’s new in the legal world. We know our clients are big on the future. And so are we. We’ve found this forward-looking perspective to be a huge benefit to our clients. From our office serving The Villages® community, we’re also able to serve surrounding Lake, Sumter, and South Marion communities.